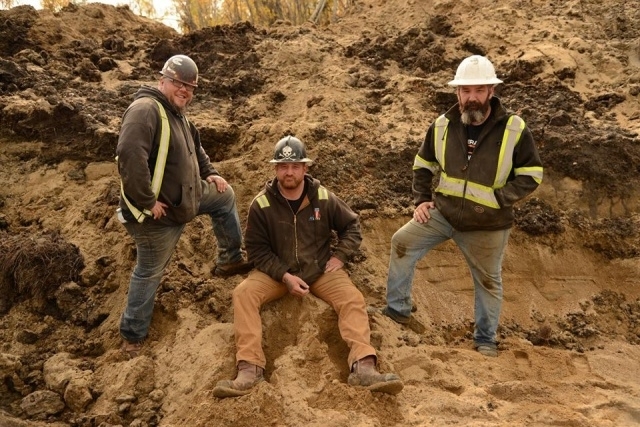 “Gold Rush” season 10 is next after the ninth installment ended on March 22. However, there is no announcement yet with regards to its renewal. “Gold Rush” season 10 is not yet confirmed but many believed that Discovery will release a notice soon and if not, perhaps later. This is because the show has a good number of followers. It is raking in at least two million viewers per season so the renewal is definitely coming, OtakuKart noted. But if there are other reasons for cancellation, then there is a slight chance that “Gold Rush” season 10 will not be returning for another season of mining. The decision is all up to Discovery but the odds are leaning more on the “go signal” side than on the show termination side. At any rate, if “Gold Rush” season 10 is coming back, expect to see the same cast that includes Rick Ness, Fred Dodge, Roger Schnabel, Parker Schnabel, Chris Doumitt and Tony Beets. No one is likely to leave since the gang must continue what they started and work hard together for. In related news, while the viewers are anticipating the renewal news for “Gold Rush” season 10, it was verified that the show will have a new spinoff and it will be headlined by the series’ favorite miner, Dave Turin. According to The Hollywood Reporter, in the spinoff, he will work with Todd Hoffman, a fellow miner from Oregon. The “Gold Rush” sequel featuring Turin and Hoffman will be called “Gold Rush: Dave Turin’s Lost Mine” and is set to premiere on April 5 at 10 p.m. EST on Discovery Channel. It was said that they will search abandoned mines that they could revive and explore. Finally, another “Gold Rush” spinoff starring Parker Schnabel is also returning for its third installment. The “Gold Rush: Parker’s Trail” will be back on broadcast April 5 at 9 p.m. In this season, expect gold mining adventures in the highlands of Papua New Guinea.